Possessing a wardrobe which is bursting at the seams is a crime all of us are not only familiar, but also commit on a regular basis. We’ve all convinced ourselves that we must purchase every clothing item that catches our fancy every time we go shopping. As a result, we amass piles of clothes which are unlikely to be worn in this lifetime — a cute dress with a hemline that seemed work-appropriate in the store but is in fact far too short, killer heels that appealed to our inner masochist but remain untouched even after months, ill-fitting jeans that can hardly be considered hip-hugging. There’s no other way to do this — you have to empty out your entire closet. Make those cabinets as bare as the day you took them out from their IKEA boxes, take a deep breath and try to not get intimidated by the Mount Everest of garments occupying your floor. If you’ve got spare room on your floor — great! You can commence the gargantuan task of sifting through your wardrobe and categorizing the items into the following: Pristine, Hardly Worn, Worn Once In The Last Six Months, Worn On A Near-Daily Basis and Do Not Bother Donating. Once you have decided on the items which are to be donated or discarded, you can tackle the rest of the clothes which will eventually occupy your closet. Everyone has clothes they have never worn-either they were aspirational buys, novelty purchases or stuff that was forgotten about thanks to the mountain of new stuff which followed after. Keep your novelty purchases (oddly shaped dresses, Halloween costumes, animal onesies) in a separate drawer from your regular. Now, examine the rest of the untouched clothes — if they do not fit you anymore or do not adhere to your current sense of style, consider selling them or donating them to shelters and clothing companies that recycle pre-loved items. As for the ones that do fit you, hang them up at the front of your closet for easy access and visibility. Relegating them to their usual spot at the back of the closet or trapped under a pile of clothes will only contribute to more clutter. 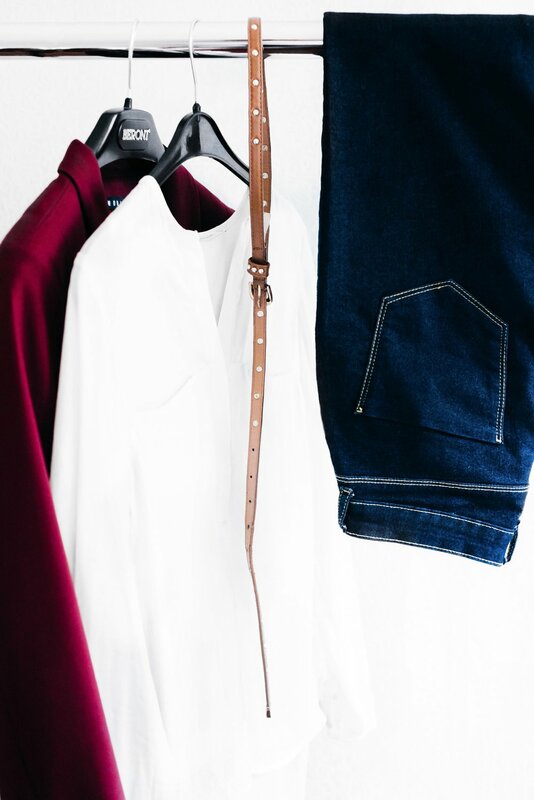 If you’re a visual person, arranging your clothes according to colour is a great way to keep your closet organized, and inspire versatility in your daily wardrobe. If you feel like you’ve been wearing black one too many times, a garment colour palette is an excellent reminder of the fact that you do possess stuff other than monochrome tees. Not all of your garments can be shaped by a hanger, and that’s okay. 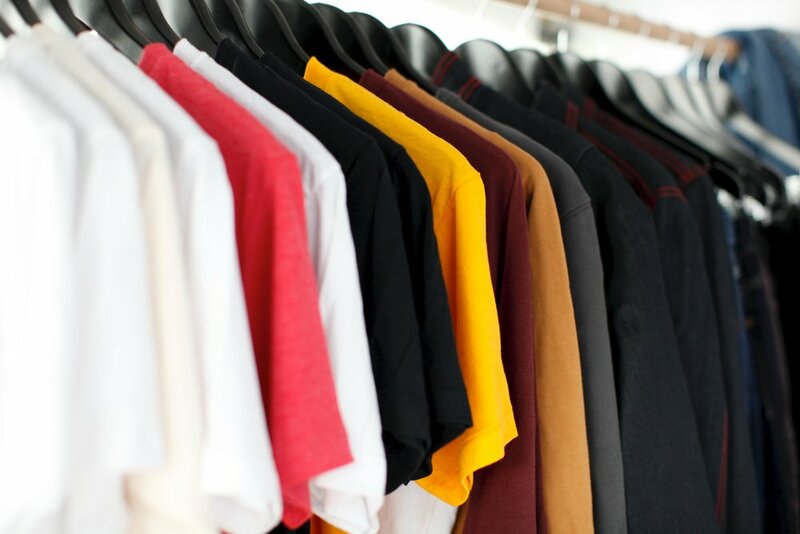 Thanks to items such as boxes and dividers, clothes which are trickier to fold or hang due to their size or make, such as inner-wear, crop tops, gym shorts, and sleepwear can be located conveniently, without having to disrupt your entire wardrobe in your hunt for a singular of swimming shorts. Long dresses, sweaters, blazers, long-sleeved blouses, formal-wear, gowns and ethnic costumes are all examples of garments which need to be hung. Most supermarkets sell cheap hangers by the dozen, so consider investing in a bundle or two. Hanging up your clothes will ensure a clutter-free wardrobe, and also prevent them from getting unnecessary creases and folds. Re-organising your closet is hard work, so take a break and check out more articles on how to make the most of it!